Lured by scenic attractions, sporting events and business conventions, visitors to Hamilton County pumped more than $1 billion into Chattanooga&apos;s economy last year for the first time. Tourists boosted their spending in Chattanooga last year by nearly 3.4 percent, helping to propel Tennessee&apos;s overall tourism industry to a record high of $17.8 billion, according to a study released Tuesday by the U.S. Travel Association. Tourism is Tennessee&apos;s second largest industry, behind only agriculture. Last year, more than 105 million visitors came to the Volunteer State. Serving all those tourists and conventioneers employed an estimated 151,780 people statewide. 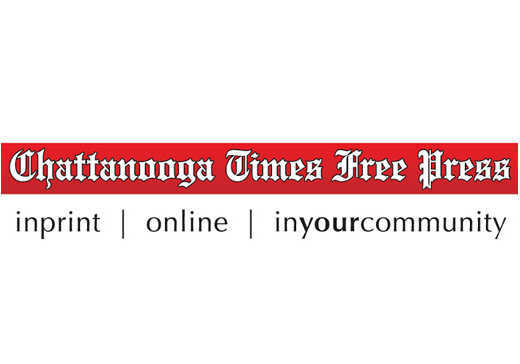 "We&apos;re a growing industry that we expect will continue to move the chart upward in a northeast direction," said Bob Doak, president of the Chattanooga Area Convention and Visitors Bureau. "The economy continues to improve, and I think in Chattanooga we offer the kind of authentic and natural experience many people want." Hotel developers are banking on better times ahead for the industry, with plans underway or on the drawing board for nearly $120 million of new or renovated hotel facilities in downtown Chattanooga. Doak said hotel developers are a good barometer for the industry&apos;s future. 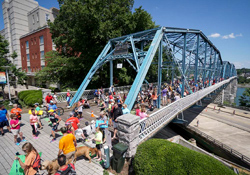 Chattanooga benefited last year from a combination of major sporting events such as the Ironman triathlon, more business meetings and more tourists attracted to a growing number of outdoor, musical and enhanced attractions. The Tennessee Aquarium, Chattanooga&apos;s biggest paid tourist attraction, boosted its attendance last year by nearly 5 percent to the highest level in nearly a decade, and this year appears to be even better. "Not only have we been pleased with our attendance this year, our guest satisfaction ratings remain very high," said Keith Sanford, president of the Tennessee Aquarium. "We hope to continue this momentum with the opening of Monster Fish on Oct. 1 and new films coming to our IMAX 3-D Theater this fall." The aquarium helped draw Craig Schock and his family to Chattanooga on Tuesday for the first time. The Henderson, Tenn., family made the two-hour trip to Chattanooga and were overwhelmed by the Tennessee Aquarium. "I used to live in California and have seen other major aquariums, but this was one of the best I&apos;ve ever seen," Schock said Tuesday during a break in his aquarium tour. "Chattanooga has a great downtown, and it&apos;s a very comfortable city to visit. We&apos;ve been very pleased by our visit." With the start of school earlier this month, the summertime rush at most attractions has subsided. But most area attractions reported another strong summer, with gas prices down and less rain than a year ago. 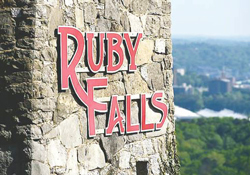 "We have a lot more competition for people&apos;s time, and the school season seems to be so short with so many activities that many kids are involved in these days," said Hugh Morrow, president of Ruby Falls. "But we&apos;ve really had a spectacular summer and have been very blessed. Our business has grown every year since 2008, and over the past three years we&apos;ve enjoyed much better attendance." Ruby Falls and Rock City draw only half the visitors they did a half century ago, before interstate highways and busy schedules encouraged more tourists to drive by the mountaintop attractions. "We continue to look for ways to make an attraction that first opened in 1929 relevant and appealing to today&apos;s consumer," Morrow said, noting that Ruby Falls has added both a zip line and underground Wi-Fi connections over the past six years. "But there is still no place else in the world where you can descend 1,100 feet into a mountain and see a 145-foot waterfall. I think that uniqueness of Ruby Falls — and Chattanooga as a whole — is what keeps people coming back." Last year, Hamilton County edged out Knox County to become the state&apos;s fourth biggest tourist destination, behind only Nashville, Memphis and Gatlinburg/Pigeon Forge. Tourism supported an estimated 7,450 jobs in Hamilton County in 2015 and generated $82.7 million in state and local taxes last year, according to an analysis prepared by D.K. Shifflet & Associates. Such gains were similar last year across Tennessee, which boosted tourism employment statewide to 151,780 workers. For the 10th consecutive year, tourism topped $1 billion in state and local sales tax revenue, reaching $1.6 billion, up 7 percent over 2014. "More travelers from around the world are visiting Tennessee each year, and the $1.6 billion in sales tax revenue and growth in jobs is good news for every Tennessean," Gov. Bill Haslam said Tuesday during an event at Dollywood in Pigeon Forge to mark the release of the annual tourism spending report. "People come to Tennessee for a variety of reasons including the music, but it&apos;s the authenticity and Southern hospitality that our communities and partners deliver every day that keeps people coming back."